So today something happened that is rare in my life. I expressed an interest in something Kardashian. 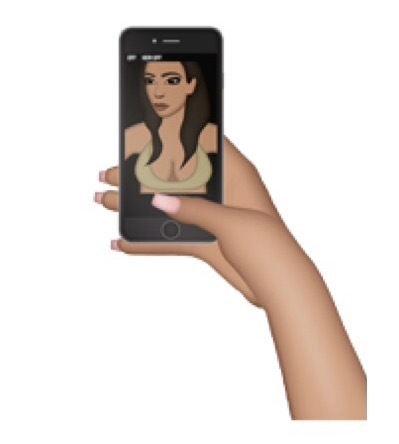 I actually feel a little bit dirty for saying that out loud..
Today the queen of entrepreneurship succeeded in sucking me in and I *gulp* downloaded her new Kimoji app. Yes, I know! Don’t hate me. I’m not the worlds biggest Kardashian fan. I used to watch the show before their materialism and attitude towards morals put me right off. The one thing I will say, and credit where it’s due is that as a family they know how to make money – they know how to work the system and make a living. And kudos to them for taking every opportunity to build an empire – even if I do think their brand is a little bit…shallow. So, one minute I was laughing at the prospect of a Kimoji app…within less than 5 minutes (proof on Twitter) I was downloading it out of sheer curiosity. And what I found was every bit as shallow and secretly lovable as expected.. So first things first – check the feedback before you download it. There are clearly some technical issues with the app – which I wish I had seen before making my impulse purchase. I’m not saying i wouldn’t have downloaded it, but I would have felt better being more informed. There are a lot of detailed technical problems which are quite fiddly when using the Kimoji keyboard – because yes, this is a keyboard and less of a separate app. Therefore it means you need to manually install it too. Which is also not something I expected to do. In the world of Smart Phones, I’m so used to downloading something and it working right away – I didn’t realise how fiddly it would be to install. Without following these steps your keyboard won’t work and you’ll have wasted your money. 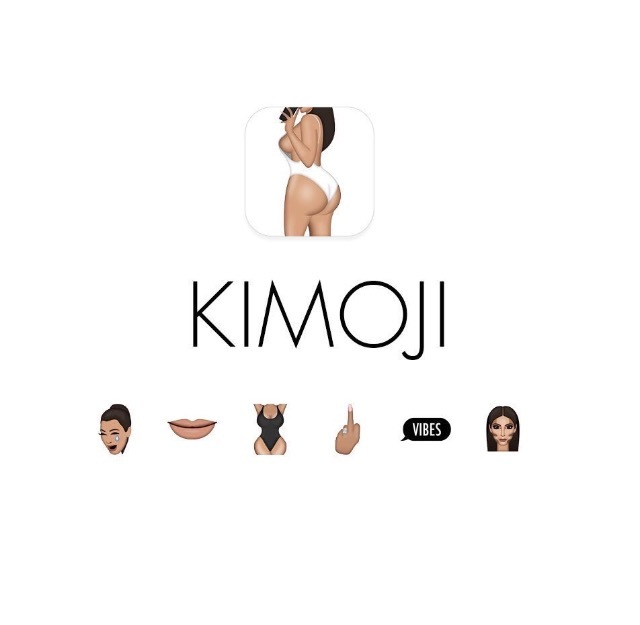 So key point here – these Kimoji’s only work in their full capacity in iMessage. Sorry if you wanted to use them like every other emoji on your phone – but that’s not how it works. If you use them in other apps – WhatsApp being the key one I’m talking about – then it will come up as a picture, and not an emoji. Bit pants eh? You still get the image, but it’s a massive picture attachment – as if you’re sending a photo, so it kind of defeats the point of using it as an emoji. 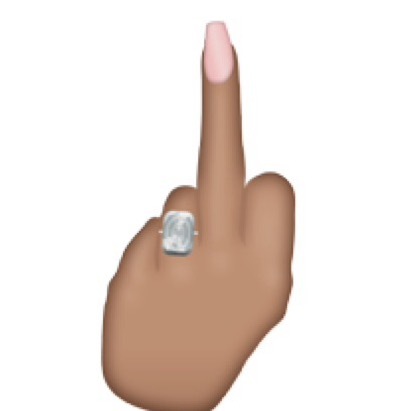 Also, another key point is that even when in iMessage, the Kimoji won’t just automatically show up in your text bar. 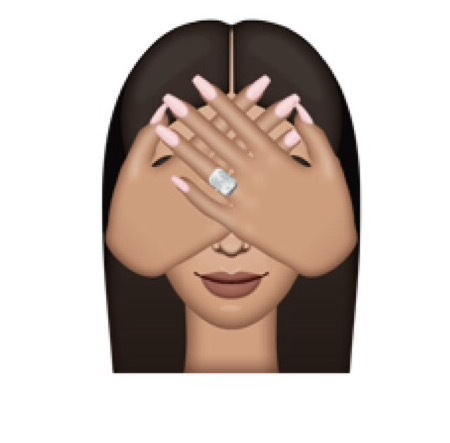 No, you have to select which Kimoji you want to use, and it then copies it to your clipboard. 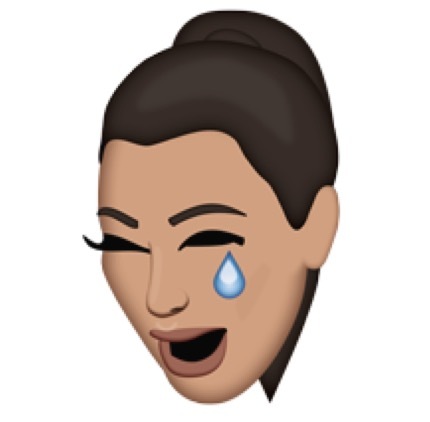 You then have to manually paste the Kimoji into your text. So you’ve gone from a one click emoji as is the norm, to 2-3 clicks through copy and paste methods. Not majorly a big deal, but if you’re in a rush it’s a bit of a bummer. 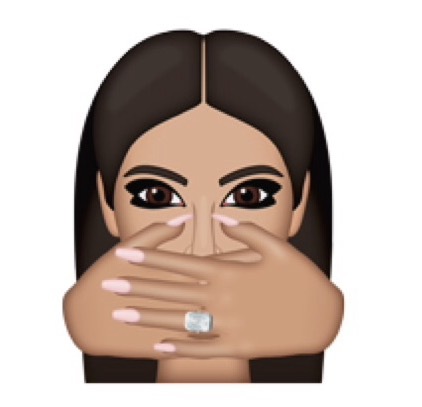 Now the Kimoji’s themselves…as ashamed as I am to admit this…I love them! Not for any serious reason, more for a tongue-in-cheek sarcastic reason. 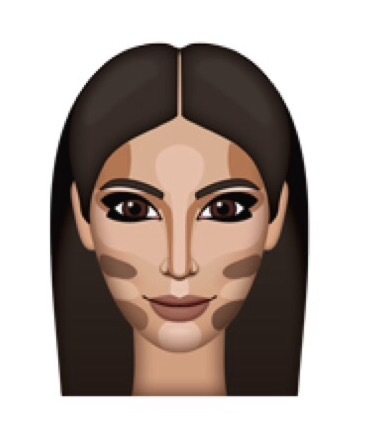 In reality, other than a Kardashian app, where else would I be able to send a contoured face or a selfie emoji? And some of them are just so meme worthy they are going to provide hours of laughter between me and my friends…but not the clean kind of fun – more the taking the mickey kind of humour. But you know what? That’s okay, it’s a bit of fun and the crying Kim face is epic – I would have paid £1.49 for that on it’s own any day – the amount of times I send messages to my bestie where that will be appropriate means I’ll make my money back in usage within a week. So, overall I’m still not a Kardashian fan at all. 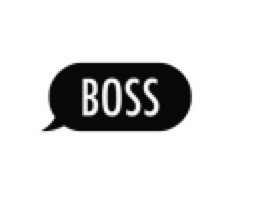 And this app has technical issues and requires manual installation which is fiddly and annoying… But for £1.49 and the amount of sarcastic memes and messages I’m going to be able to use these Kimoji’s for means it’s £1.49 I don’t mind spending…kind of anyway.